Attractive customer facing write on/wipe off menu glass when the unit is used in a counter top position - mark your daily specials easily & quickly. Can be used as a back bar or counter top unit without modification, straight out of the box - you can change it's position at a future date without a problem. 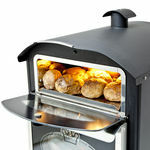 No steam ventilation or ducting required. Simple controls makes it easy to operate - minimal staff training required to ensure consistency of results every time. 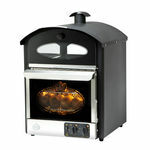 The Bake King Mini oven is exactly what it says on the stainless steel - its like the original Bake King oven, only smaller. 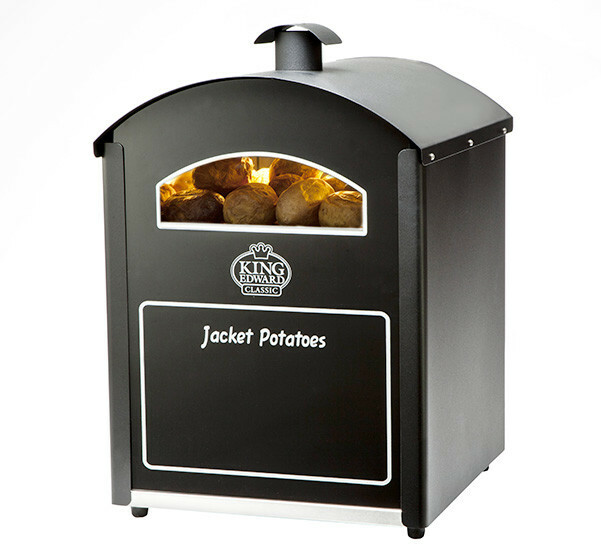 With up to 50 total potato capacity - 25 in main oven plus the same quantity in the storage/display area above - it offers incredible cooking efficiency at such a low price. Both the main oven and display area are illuminated whilst cooking, adding to the live theatre at point of purchase. 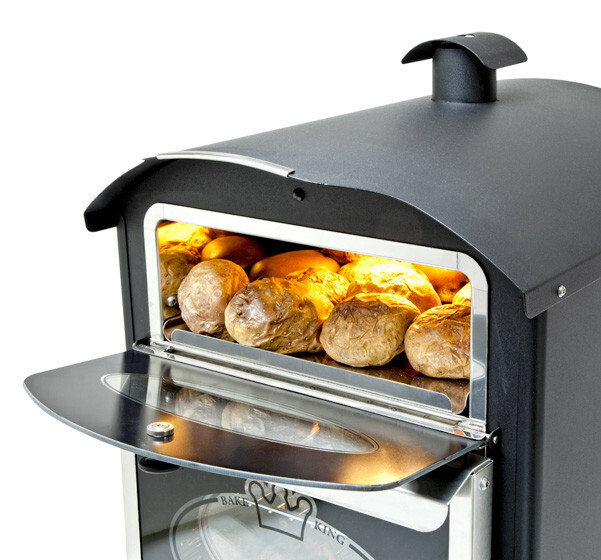 And because it uses all the same high quality components & materials found in all our other ovens you can be sure it's just as good at cooking all other types of food - not just potatoes. 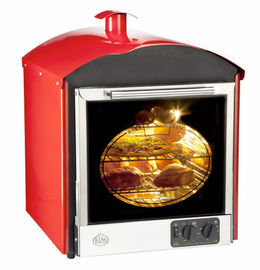 With a small footprint it will be ideal for those premises with limited front-of-house space who still need a powerful and versatile main cooking oven. 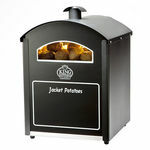 100% designed & built by us in the UK the Bake King MIni is the latest addition to the King Edward range. 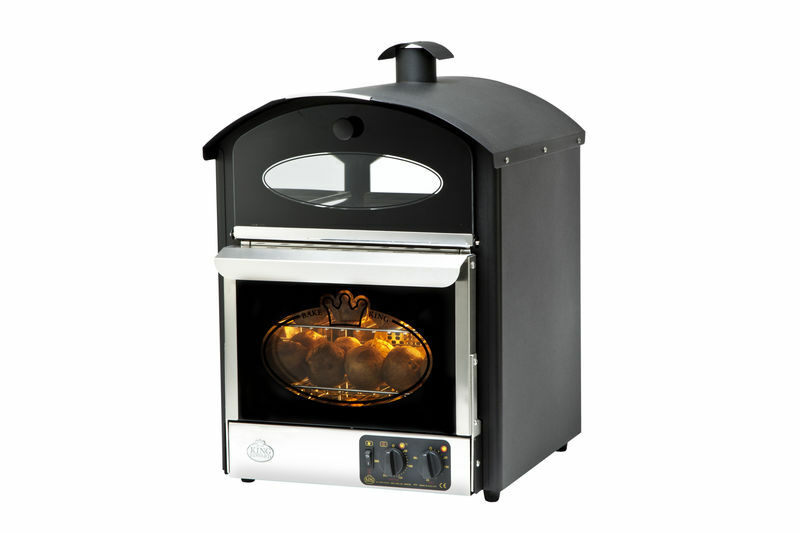 And like all our ovens you can expect exceptional reliability as well as great performance. 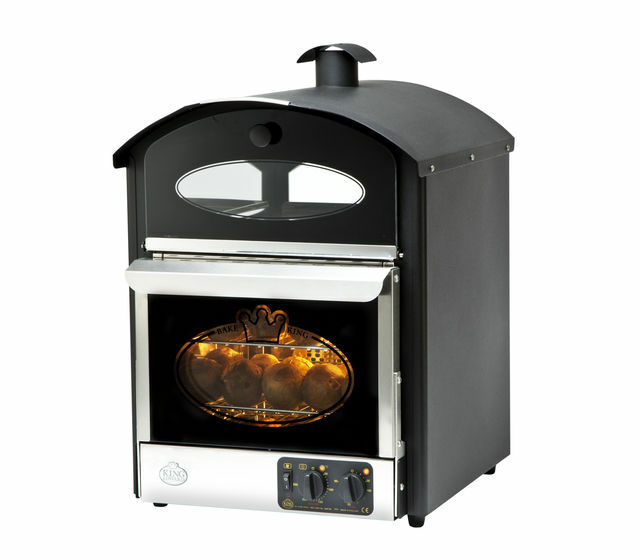 Total electrics: 230/240V @ 50Hz; single phase, runs off standard 13 amp plug.